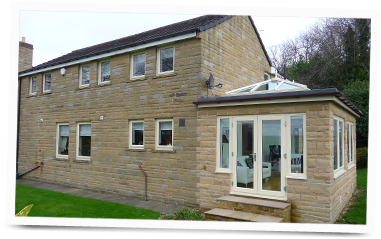 Working with UPVc / Aluminum manufacturers, suppliers and installers, Colour-Tec offers you the service of colour coating products to the highest standards in our Horbury based factory. We use the best paints on the market with our paint supplier offering a database of over 15,000 colours from the standard RAL / BS colours to the Farrow and Ball and Dulux ranges plus a Colour matching service. All our work is guaranteed against fade and adhesion for 10 years. Colour-Tec are able to offer fast turnaround times without jepodising quality, our usual turnaround time is 5-7 days however we will agree a turnaround time prior to the job commencing to ensure that we meet your required timescales. All technicians are fully qualified and will ensure quality controls are adhered to ensuring the product is perfect for installation. We consistently strive for perfection and pride ourselves on meeting and exceeding the specific expectations of every customer. We are confident that you will be satisfied with the finished result however in the event of any problems occurring during installation these will be addressed and rectified by our professional onsite service.